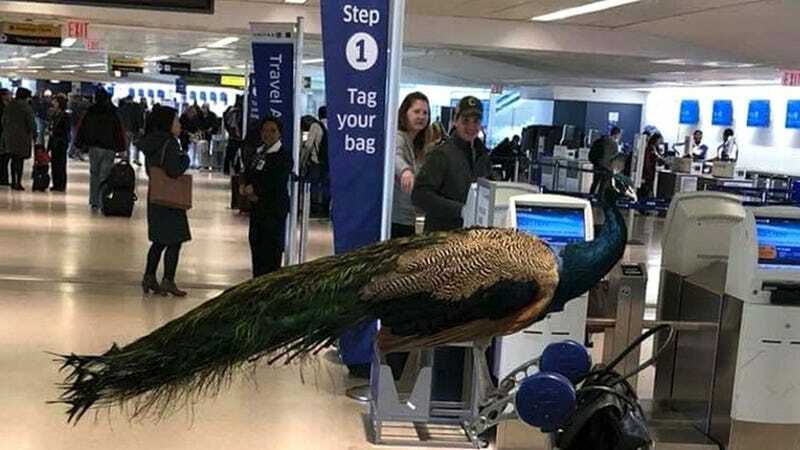 It seems United Airlines has a vested interest in stopping you from experiencing sky travel alongside your emotional support peacock, or at least this is the scenario a disgruntled passenger had to endure earlier this week. I imagine the unidentified woman called so many times beforehand in hopes of getting a more peacock-tolerant United representative on the phone, perhaps even to lean on them for emotional support. I appreciate people wanting an air travel experience to be bearable, but need it be exuberant? In any case, looks like the “emotional support” of downers will need to suffice from now on.